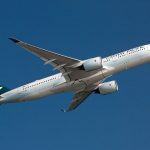 The Australian operation of Cathay Pacific is already bracing for staff cuts and tougher measures may be on the way after the carrier yesterday declared a net loss of HKD 263 million (AUD 45.17 million) for the six months to the end of June. The result compares with a loss of HKD 2.05 billion (AUD 352.1 million) a year earlier, so the airline’s current restructuring plan appears to be working and turning the loss around – but observers had expected a profit for the latest six-month period so the result came as a surprise. However, Slosar noted, “the operating environment for our airlines remains challenging”. He said the strength of the US dollar “and economic uncertainty arising from global trade concerns” remained challenging. The “global trade concerns” reference is probably an allusion to the escalating trade war between the US and China, as US President Donald Trump moves to force China into trade concessions. Cargo is an important part of the Cathay business mix, though it did well in the latest six months. Cargo revenue improved, reflecting strong demand. “We still expect passenger yields to continue to improve and the cargo business to remain strong,” Slosar said. Cathay Pacific and Cathay Dragon paid 32% more for fuel in the six months. The carrier plans to hire more than 1800 staff this year, Slosar told reporters on Wednesday in Hong Kong, so any staff cuts are being balanced. 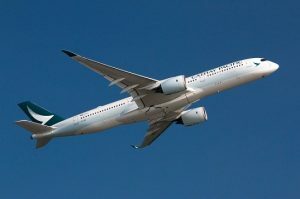 Cathay Pacific has said it plans to increase passenger capacity by 4% to 5% a year.